This morning on The Brekky Show, Kirste & Morro had the absolute honour to chat to Neale Daniher, former AFL player and coach, now MND battler and Morro’s personal hero. In 2014, Neale revealed he had been diagnosed with Motor Neuron Disease (MND) and opened up to the Brekky hosts about how he’s been able to maintain his inspiring, strong, positive attitude. Neale Daniher with daughter Bec. 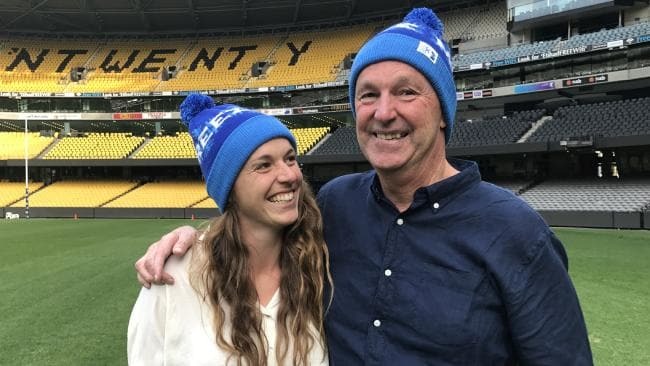 Since the first annual “Big Freeze” Daniher has raised over $36 Million for MND. When asked how far away he thinks the cure is, he offers the analogy of a garden. For more information visit Big Freeze – Fight MND.